Whether you’re reading a novel, watching a movie, or even playing a video game, a kiss is still a kiss and a story is still a story. Although naysayers scoff at the thematic and narrative value of video games, creative ventures like Beyond: Two Souls aim to broaden the genre’s ever expanding horizons. Last week, critics and movie fans were buzzing about Sandra Bullock and George Clooney opening up Gravity, and maybe one day that same buzz will focus on A-list actors who are featured in the latest video game. Ellen Page and Willem Dafoe are featured in Beyond: Two Souls, and the Playstation 3 title, which was released today, has received its share of excellent reviews. Director David Cage, who was the writer behind the acclaimed PS3 effort Heavy Rain, continues to bring a sense of cinematic aesthetic to video games with his latest effort. Centering on 15 years in the life of a girl named Jodie Holmes, Beyond: Two Souls isn’t a point and click adventure or a straight ahead shoot ’em up. 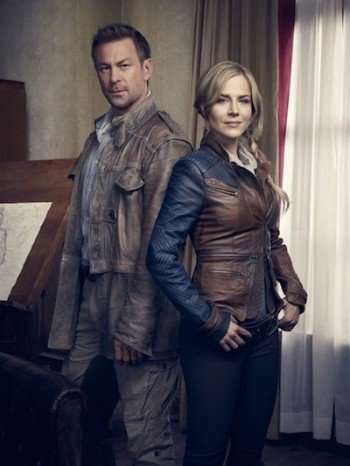 By giving gamers the chance to explore Jodie’s connection with a spirit named Aiden, their choices are not based on a one-dimensional action driven mechanic. Instead, consider this PS3 title as a choose your life adventure. How will you navigate Jodie through her years, and will that road take her straight to death’s door or a completely different avenue? We interviewed Ellen Page today in Los Angeles, and she described her experience in Beyond: Two Souls as “incredible.” It’s that sense of creative gratification which should bring even more thespians into the video gaming universe. 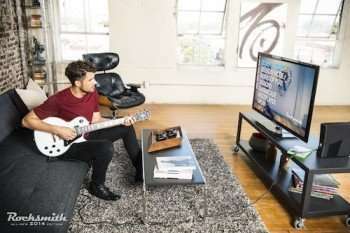 Ubisoft released a new trailer today for Rocksmith 2014 Edition, a popular teaching/rhythm game which actually enables players to learn how to play guitar. During June’s Electronics Entertainment Expo, Alice in Chains guitarist Jerry Cantrell gave a pretty cool demonstration of the game, which comes out in October on Xbox 360, PS3, PC and Mac. Fans who pre-order the title will also receive The Smashing Pumpkins song Cherub Rock. At my age, learning how to play the guitar may be an uphill climb, but in the new video, creative director Paul Cross gives a comprehensive breakdown on how players will actually learn how to channel their inner rock god. I’m pretty excited to actually plug Rocksmith 2014 Edition into my 360, even though my chances of mastering Jack Whites’ Sixteen Saltines are zero percent at best. That, however, won’t keep me from strumming. Feel free to tell us what you think of the new Rocksmith 2014 trailer. To check out the songs that have been announced for the game (there are an estimated 50 songs for the title), check out the list at the bottom of the post. Video game developers Quantic Dream, the makers behind the critically beloved title Heavy Rain, are continuing their passion for cinema inspired narratives with Beyond: Two Souls. 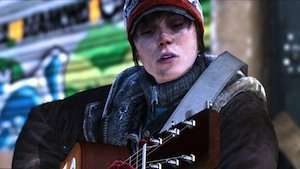 Beyond: Two Souls centers on 15 years in the life of a youth named Jodie Holmes (Page), a girl who has an inextricable connection to a mysterious entity. The sequence featured at the fest, titled “Homeless,” has Jodie struggling to survive the next meal without a roof over her head or a family to depend on. The game comes out October 8th, 2013 for the PlayStation 3. I love a good mystery, and the more abstract the investigation becomes (i.e. Twin Peaks and even The Killing) the better. That’s why Rising Star Games’ Deadly Premonition: The Director’s Cut will be the first PlayStation 3 title I’ve played in eons when it comes out April 26th. Created by Hidetaka “Swery” Suehiro, the open world game centers on special agent Francis York Morgan’s attempts to solve a young girl’s murder in the apparently sleepy small town of Greenvale. During his journey, Morgan bumps into supernatural elements which does a number on his mental state, and one would assume the locals aren’t too emotionally balanced either. Fans who pre-order the title from Amazon.com will receive an exclusive Field Ops suit that increases Morgan’s hit points and attack prowess. If you want to pre-order the game via GameStop, you’ll get an Espresso Suite which gives you stronger tolerance to hunger and exhaustion. I never played the Xbox 360 version when it came out in 2010, but the trailer below, which has a nice mix of chills and a few bloody spills, has caught my attention. The game received strong reviews upon its initial release, and hopefully this thriller won’t disappoint. 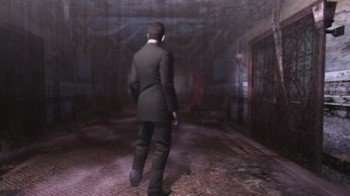 Check out the trailer below and tell us what you think of Deadly Premonition: The Director’s Cut. Columbia Pictures is releasing The Smurfs 2 on July 31st, and in the same month those diminutive blue creatures are headed to the video game world. The title will be released on the Xbox 360, PlayStation 3, Nintendo Wii U, the Wii, and the Nintendo DS. The Smurfs 2 is an adventure platformer in which players relive moments and immerse themselves in environments which were featured in the movie. Locations in the game include stops at New York City and Paris, as well as new worlds such as the Arctic Tundra and the Lava Jungle. The DS version differs from the other consoles, as it is a collection of mini-games. Gamers can either play solo or multiplayer mode with up to four users playing simultaneously. The big video game news, however, is the interesting addition that is exclusive to the Nintendo Wii U. 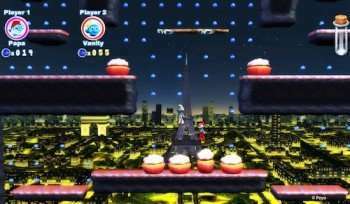 Owners of the console get an extra bonus, as a fifth player can be added by controlling Clockwork Smurf on the Wii U GamePad. Featuring over 30 levels, players can choose among nine Smurfs that were featured in the movie (Papa Smurf and Grouch Smurf are among the playable characters). Sony and Ubisoft previously collaborated on the 2011 title The Smurfs Dance Party. As for the actual movie, expect another exceptional box-office return. The first film took in $560 million worldwide!! Neil Patrick Harris and Jayma Mays reprise their live action roles for the sequel, and voice actors Katy Perry and Hank Azaria return as Smurfette and Gargamel, respectively.